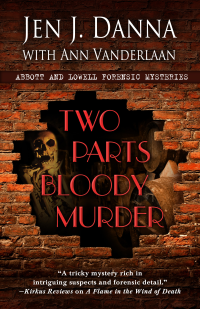 It’s a double surprise for Trooper Leigh Abbott as she investigates a cold case and discovers two murder victims in a historic building. But when the victims are discovered to be relatives—separated by over eighty years—the case deepens. When a murder committed nearly forty years ago comes under scrutiny, the team realizes that an innocent man was imprisoned and the real murderer is still at large. Now they must solve three murders spanning eighty years if they hope to set a wronged man free.